"CT scanning­sometimes called CAT scanning­is a noninvasive medical test that helps physicians diagnose and treat medical conditions. CT scanning combines special x-ray equipment with sophisticated computers to produce multiple images or pictures of the inside of the body. These cross-sectional images of the area being studied can then be examined on a computer monitor, printed or transferred to a CD. CT scans of internal organs, bones, soft tissue and blood vessels provide greater clarity and reveal more details than regular x-ray exams. CT scanning provides more detailed information on head injuries, stroke, brain tumors and other brain diseases than regular radiographs (x-rays). " "Bleeding, brain injury and skull fractures in patients with head injuries. Bleeding caused by a ruptured or leaking aneurysm in a patient with a sudden severe headache. A blood clot or bleeding within the brain shortly after a patient exhibits symptoms of a stroke. A stroke, especially with a new technique called Perfusion CT. Brain tumors. Enlarged brain cavities (ventricles) in patients with hydrocephalus. Diseases or malformations of the skull." "A person who is very large may not fit into the opening of a conventional CT scanner or may be over the weight limit­usually 450 pounds­for the moving table. 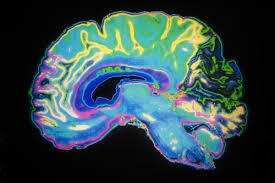 Compared to MR imaging, the precise details of soft tissue (particularly the brain, including the disease processes) are less visible on CT scans. 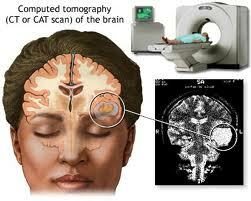 CT is not sensitive in detecting inflammation of the meninges­the membranes covering the brain." "CT scanning­sometimes called CAT scanning­is a noninvasive medical test that helps physicians diagnose and treat medical conditions. CT scanning combines special x-ray equipment with sophisticated computers to produce multiple images or pictures of the inside of the body. These cross-sectional images of the area being studied can then be examined on a computer monitor, printed or transferred to a CD. CT scans of internal organs, bones, soft tissue and blood vessels provide greater clarity and reveal more details than regular x-ray exams." "A person who is very large may not fit into the opening of a conventional CT scanner or may be over the weight limit­usually 450 pounds­for the moving table. 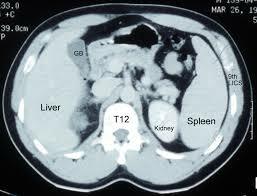 CT scanning of the abdomen may not be as sensitive in identifying gallstones as ultrasound of the abdomen. 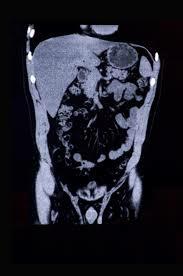 For some conditions, including but not limited to some liver, adrenal, kidney, pancreatic, uterine or ovarian abnormalities, the evaluation and diagnosis with MRI may be preferable over CT scanning. " 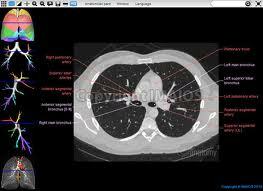 "Angiography is a minimally invasive medical test that helps physicians diagnose and treat medical conditions. Angiography uses one of three imaging technologies and, in some cases, a contrast material to produce pictures of major blood vessels throughout the body. Angiography is performed using: X-rays with catheters Computed tomography (CT) Magnetic resonance imaging (MRI) CT angiography uses a CT scanner to produce detailed images of both blood vessels and tissues in various parts of the body." 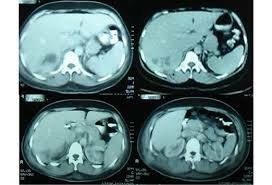 " An iodine-rich contrast material (dye) is usually injected through a small catheter placed in a vein of the arm. 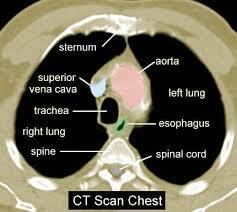 A CT scan is then performed while the contrast flows through the blood vessels to the various organs of the body. After scanning, the images will be processed using a special computer and software and reviewed in different planes and projections. " 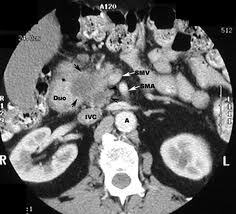 CT angiography should be avoided in patients with a previous severe reaction to contrast material, advanced kidney disease or severe diabetes, because x-ray iodine-rich contrast material may harmful. 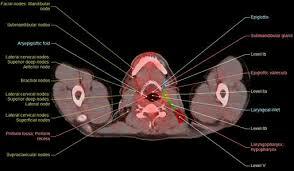 Also, it may be avoided when the rare and small radiation risk overwhelmingly outweighs the benefits of CT angiography. " "CT scanning-sometimes called CAT scanning-is a noninvasive medical test that helps physicians diagnose and treat medical conditions. CT scanning combines special x-ray equipment with sophisticated computers to produce multiple images or pictures of the inside of the body. These cross-sectional images of the area being studied can then be examined on a computer monitor, printed or transferred to a CD." "CT scans of internal organs, bones, soft tissue and blood vessels provide greater clarity and reveal more details than regular x-ray exams. Using specialized equipment and expertise to create and interpret CT scans of the body, radiologists can more easily diagnose problems such as cancers, cardiovascular disease, infectious disease, appendicitis, trauma and musculoskeletal disorders. " "Soft-tissue details in areas such as the brain, internal pelvic organs, and joints (such as knees and shoulders) can often be better evaluated with magnetic resonance imaging(MRI). In pregnant women, while CT can be performed safely, other imaging exams not involving radiation, such as ultrasound or MRI, is preferred if they are likely to be as good as CT in diagnosing your condition. A person who is very large may not fit into the opening of a conventional CT scanner or may be over the weight limit-usually 450 pounds-for the moving table. 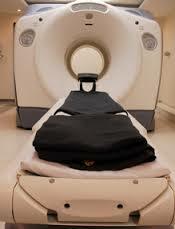 For very large patients, some facilities have extra-large bariatric-capable CT scanners." "CT scanning-sometimes called CAT scanning-is a noninvasive medical test that helps physicians diagnose and treat medical conditions. CT scanning combines special x-ray equipment with sophisticated computers to produce multiple images or pictures of the inside of the body. These cross-sectional images of the area being studied can then be examined on a computer monitor, printed or transferred to a CD. 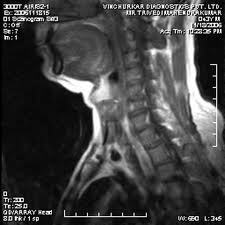 CT scans of internal organs, bones, soft tissue and blood vessels provide greater clarity and reveal more details than regular x-ray exams."